A simple blister pack containing coins representing each host city. 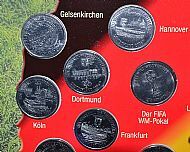 Sealed so you bought a complete set and did not have to collect each coin. 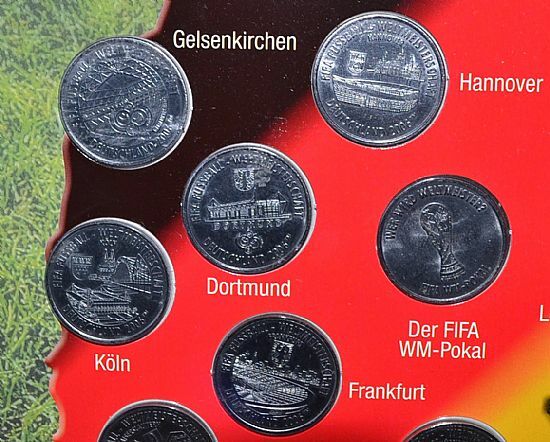 Makes a change to have city coins rather than players or club crests. Nice bubble pack of host city coins, sealed and complete. 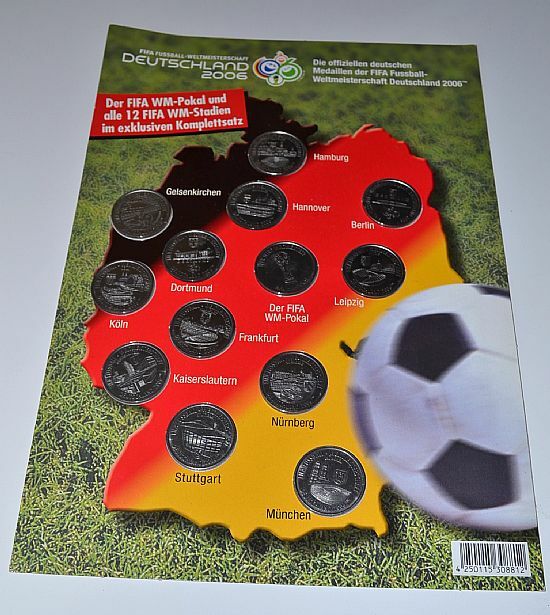 12 host city coins plus a world cup trophy coin. Each coins shows the host city and an image of the stadium. 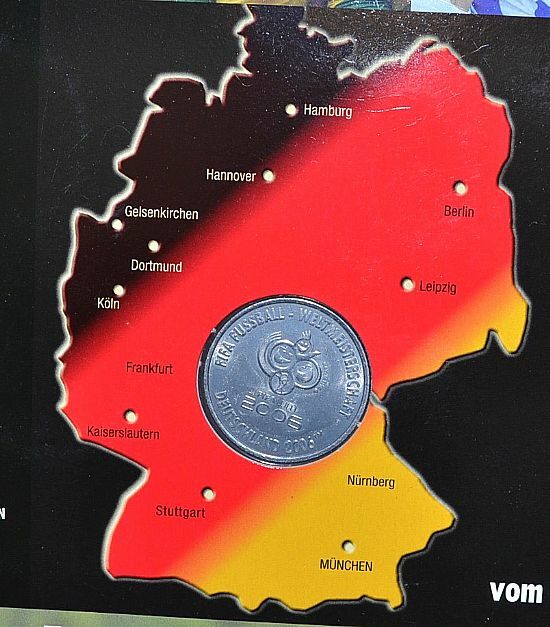 Only the world cup coin gets a bubble with a view of the reverse of the coin!